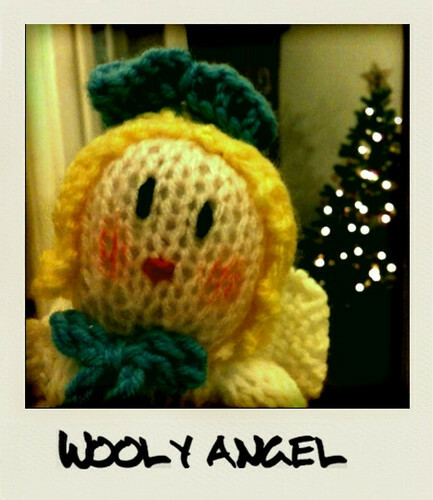 Wooly Angel, originally uploaded by nico fell photography. So the Christmas tree and decorations went up this weekend. Quick shot of our angel mobile and the tree in the background. Surprisingly nice bokeh from the iPhone! Was lovely to let the kids decorate the tree. They really do love it. This year’s tree needed to have particular consideration for the lower branches in order to keep things out of reach of Felix. This year more than ever I am conscious that we don’t get too ridiculous with pressies. I really want them to understand what it’s all about and how they can share true Christmas spirit. Hard but not unachievable. 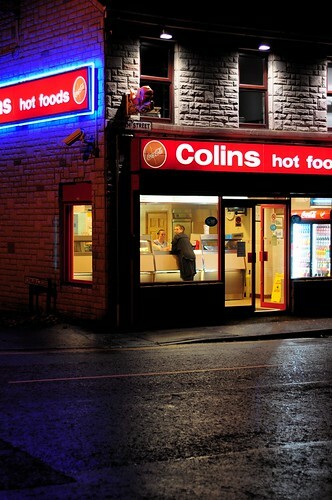 Colins, originally uploaded by nico fell photography. So the weekend is nearly upon us, and I can’t wait. Been a good week and have got plenty done. Generally the weekend means a little treat for dinner somewhere along the line. Colins do great fish and chips in Bangor although it’s been a long time since I endulged myself. The takeway of choice more recently has been Indian or Chinese. Perhaps though a cheeky fish supper is on the cards this weekend. This shot was taken just over a year ago and I had been meaning to take it for months previously. The girl looking out the window at me made for a more interesting shot than I had hoped for and the wet foreground picking up the reflected lights just added to the already vibrant colours. Might try and grab another shot of it soon and put in Landscape this time. The shot was inspired by Edward Hopper’s “Nighthawks” which graced the wall of one of my University rooms. Yellow Taxi, originally uploaded by nico fell photography. Was going back through some photos today and got in to looking at my New York set that I took back in March when I was out there. New York is an amazing place, so full of life and so many cultures all rubbing shoulders. I lived in London for about 5 years and whilst it I love the place and hold it dear, New York is just a whole other level. 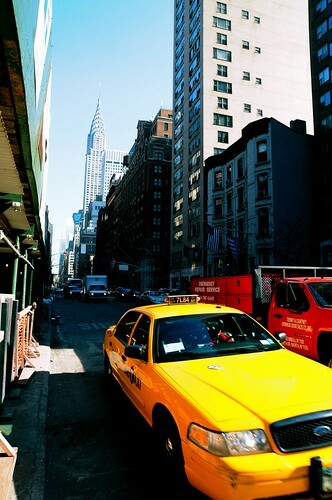 This is just one of the many images I shot in New York, the yellow taxi is something of a byword for the place and with the Chrysler Building in the background it made for a nice composition. I will be passing through NY again in January en route to Las Vegas – a whole other story – but will be a little sad not to be spending time in my new favourite city. 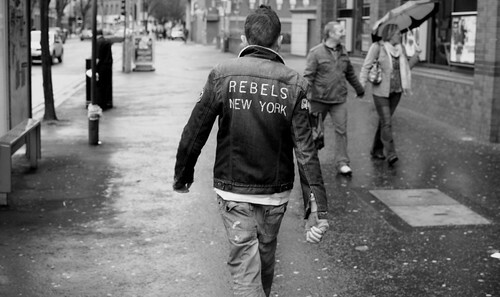 New York Rebels, originally uploaded by nico fell photography. I was walking back to my car after the most recent Belfast Flickr meet up when I saw this guy up ahead. He had bags of attitude and a swagger like you wouldn’t believe. Took a few shots but this one captures his arm movement pretty well as he really was swinging them as he walked. Just wish I had framed it better and avoided the couple on the right but there wasn’t a lot of time to shoot. Took it with my Nikon D300 and new Nikon 35mm 1.8. Great for street work and the 35mm is even less conspicuous when mounted on a D40. Great combo and highly recommended. 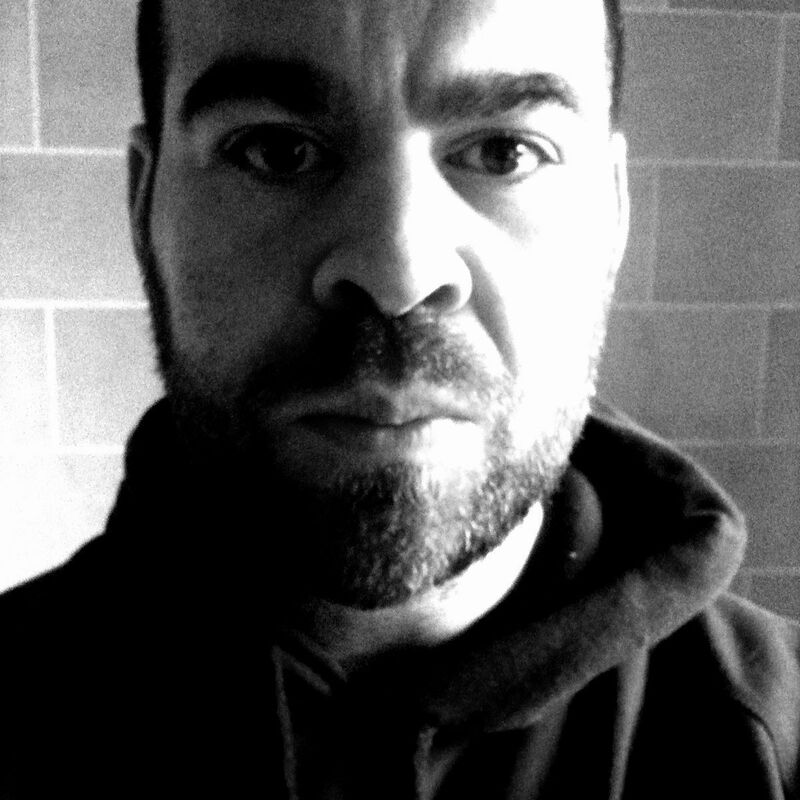 So I have just downloaded the WordPress App for the iPhone and thought I’d put it through it’s paces. So far so good.